Rosenfeld Injury Lawyers LLC represents people with post-surgery injuries caused by medical malpractice from surgery including replacement hip and knee implant procedures and other types of professional negligence. Our law firm has extensive experience in resolving cases for our clients who have required revision surgery after receiving the defective implant that was voluntarily recalled by the device manufacturer or forcibly recalled by the FDA. Our attorneys are available to answer any legal question on how to receive the compensation you deserve if a malfunctioning medical device injured your loved one. Should you have additional questions about lawsuits are while you need to hire an attorney, we invite you to contact our office for a free review of your legal rights. The legal rules of filing a claim for compensation in federal and state court can be complicated. Before you can finalize your lawsuit, you will need to follow civil procedure as defined by the different court systems. 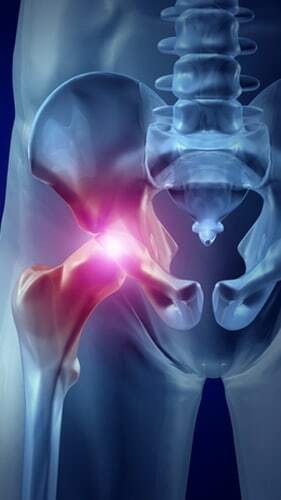 The defective hip implant injury attorneys at Rosenfeld Injury Lawyers LLC provided the facts posted below to assist families in making a better-informed decision when seeking justice in taking legal action to obtain the compensation they deserve for their injuries. When the process of your lawsuit began, you likely decided that the legal requirements were just too difficult to handle without legal representation. This feeling probably arose because of the legal or technical complexities you encountered in dealing directly with the insurance carrier providing Stryker's liability coverage or your doctor's medical malpractice coverage. If you think you might like to file a claim for compensation or are stuck in the middle of a lawsuit without knowing where to turn, hiring an injury attorney can help. Your attorney can alleviate much of the stress you feel while ensuring your family is adequately compensated for your damages. The claims adjuster working for the insurance carrier might have offered you a settlement amount that was far too low to be acceptable. You might be at the point where you are unwilling to accept the token amount they offered because they seem reluctant to offer any more money to settle the case. Hiring an attorney to provide legal representation could be significantly better than accepting a low settlement amount. Your lawyer can overcome the insurance carrier's denial of liability, denial of coverage or their failure to settle your account by taking additional legal action against the defendants. The total amount of your hospitalization costs, revision surgical procedures bills and medical expenses incurred to improve your health after your surgeon removed and replaced the defective Stryker hip implant. The length of time and depth of pain you experienced during your recovery process. All your lost wages from time away from work due to your permanent or temporary disability caused by the defective medical device. Your future lost earnings now that you have a temporary or permanent disability, and are unable to return to work to perform your previous job duties. The insurance policy limit of all its parties at fault (the Stryker Corporation and possibly your surgeon) whose negligence led to your damages. In many cases, the failure or success in finalizing a compensation claim or lawsuit is dependent on a specific legal rule. You may have to prove some elements of your case to show how Stryker or your surgeon was legally at fault for your damages. You might need legal advice to understand technical rules involving responsibility. Consulting with an attorney can help you gain experience in legal opinions on determining who is financially responsible for your injuries. If the success of resolving your entire claim remains and the balance of getting a legal question answered, an attorney working on your behalf could provide the assistance you need. Provide a free initial consultation with you to discuss the merits of your case. Review your medical records involving your initial Stryker implant surgery, along with doctor's notes and recommendations on undergoing revision surgery to replace the defective device. Communicate with you on every step taken involving state or federal court civil procedure. File all the necessary documentation and paperwork before the federal or state statute of limitations expires. Send a demand letter to every defendant's insurance company to begin settlement negotiations with one or more claims adjusters. Take the next measure of building a case to take to trial if the insurance company is not willing to offer an acceptable negotiated settlement. Gather facts and evidence required to prove your case in court should it be necessary to take the lawsuit to trial. Obtain your defective Stryker hip implant after your revision surgery and store the device to be used as evidence at trial. Hire medical and legal professionals to provide expert testimony in depositions and at trial to show the extent of your damages, how the defective device caused your injuries, and why you need the financial compensation to relieve your financial burden, improve your health, and restore your previous lifestyle. Typically, without legal representation protecting you and your family, claims adjusters will attempt to quickly settle your claim by offering a check for an amount far lower than the actual value of your case. Alternatively, with legal representation, the claims adjuster knows that they must provide a fair settlement within a reasonable timeframe or face the consequences of defending their case against your attorney at trial. You might be able to resolve your case on your own within a few months for minimal compensation. However, waiting six months to a year or longer for substantially more money might be more financially beneficial. Your attorney can determine what negligent parties are at fault for causing your injuries, and the extent of your damages to calculate the actual worth of your case and not with the claims adjuster is willing to offer. Insurance companies are in business to do more than provide coverage to the policyholders. The companies generate profits for their stakeholders. Every day, insurance carriers offer financial settlements to finalize claims while protecting their self-interest. These companies are expert negotiators who know how to stack the deck in their favor. The size of insurance corporations is massive and have easy access to every legal resource they need and have the money to pay for whatever is required to disprove your case. However, hiring an attorney can even the playing field to ensure you are treated fairly during the settlement process and if not, you will have the legal experience on your side to take the case to trial. Not having legal representation could be detrimental to your lawsuit. Alternatively, an attorney working on your behalf also has years of negotiating skills and can hire medical experts to serve as professional witnesses to prove your case. The personal injury law firm handling your case has access to medical personnel with experience in evaluating claims and interpreting medical records. Additionally, your attorneys will use their in-house investigative staff to identify facts and gather evidence in your case to ensure you have a successful trial outcome or receive an adequate financial settlement. Civil court proceedings involving defective medical devices are complicated. Currently, defective Stryker medical device lawsuits are being heard in Illinois state court and a Minnesota Federal courtroom under MDL (multidistrict litigation). Court procedure in both cases is complicated and substantially different from one another. You need to hire an attorney who has experience in representing clients involved in class action lawsuits or local expertise in handling individual cases heard in county courtrooms. Identifying who could be liable for your damages might not be clear. An attorney working on your behalf can assist in identifying numerous parties that might be liable to pay for your injuries and damages. Multidefendant lawsuits also involve multiple insurance companies that are proportional lawyers liable for the plaintiff's injuries, damages and losses. This legal process is complicated, and ultimately the amount of your settlement might be decreased to a $0 financial settlement if all defendants can prove they are not responsible at any percentage. To avoid this outcome, your lawyer can help protect you against other defendants you consider at fault for your damages who might file cross-claims and counterclaims. There are times when insurance carriers providing coverage to liable defendants will refuse to offer claimants a fair settlement or merely deny the claim outright. However, through legal representation, your lawyer can produce a successful outcome by investigating your case, filing a compensation claim, and holding the insurance company/defendant/defendant attorneys responsible for their bad faith tactics. Your attorney can force the defendants into fair negotiations to reach an adequate financial settlement. If the insurance carrier's case resolution actions have broken down your settlement process, contacting a personal injury attorney now could help. Your lawyer can take legal steps to make the court aware of the bad faith tactics when the claims adjuster or insurance company is attempting to minimize your settlement payment or deny your claim. There are significant advantages to hiring a personal injury attorney to ensure you have legal representation on your side. The insurance company responsible for paying you is likely serving their best interests at your expense. To ensure you receive maximum compensation to recover financially, you can hire personal injury who can level the playing field between you and the insurance company or the defendant's attorneys. Our law firm can answer your questions and provide the legal advice you need on how to proceed to ensure your family is adequately compensated. Your loved one's injuries might be the result of medical negligence or defective medical device. The product liability and medical malpractice attorneys at Rosenfeld Injury Lawyers LLC provide legal assistance to patients who have been harmed after undergoing surgical procedures. We have successfully prosecuted numerous Stryker lawsuits to protect our clients' interests and obtained financial benefits to recover their damages. Contact our attorneys today to schedule a free, no-obligation case consultation to discuss the merits of your compensation claim. Our legal team accepts all personal injury case, wrongful death lawsuit, product liability suits and medical malpractice claim through contingency fee agreements. This arrangement postpones the payment of legal services until after we have successfully resolved your case through a jury trial or negotiated out of court settlement. Our law firm offers a no-win guarantee, meaning if we are unable to secure financial compensation on your behalf, you owe us nothing. All information you share with our law office remains confidential.